The last decade has seen software technology progress at a tremendous pace. Technology has transformed modern lifestyles and has come to play a more dominant role in our day to day activities. Technological inventions and improvisations have lent cutting-edge efficiency to a host of functions from communications and data processing to software and hardware capabilities. Constant upgradation and innovations in technology driven work environments has created a plethora of opportunities for those proficient in computer applications. 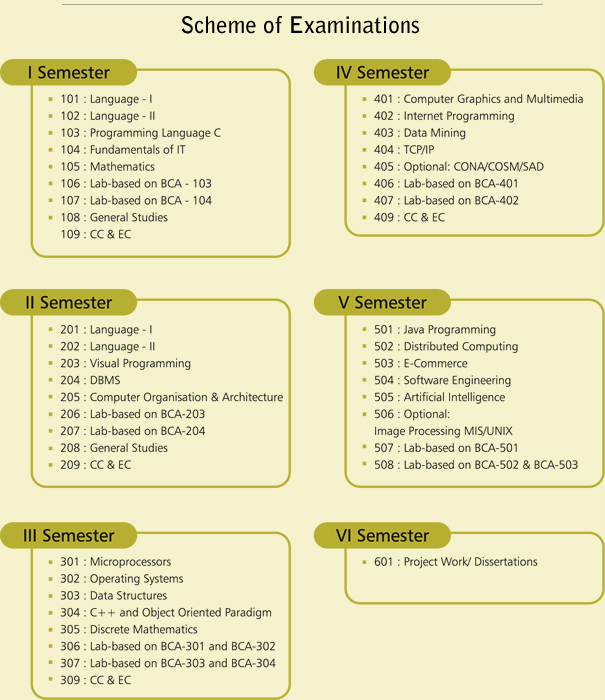 The college offers a three year Bachelor’s Degree in Computer Applications (BCA). The duration of the course extends over a period of six semesters or 3 academic years. Shree Devi College (BBM, BCA & B.COM.) is affiliated to Mangalore University, Mangalore. Any candidate who has passed the Pre-University Examination conducted by Pre-University education Board in the State of Karnataka, or any other 10+2 examination considered as an equivalent by Mangalore University, in Science, Commerce or Arts disciplines is eligible for admission to this programme. On scrutiny of applications received, eligible candidates will be selected. The candidates will have to get themselves admitted on payment of fees prescribed. All admissions are subject to eligibility conditions of Mangalore University. Eligibility Certificates will have to be obtained from Mangalore University.